Get here AMCAT Syllabus for Mechanical 2019 along with amcat mechanical sample paper and AMCAT previous papers for mechanical engineering. 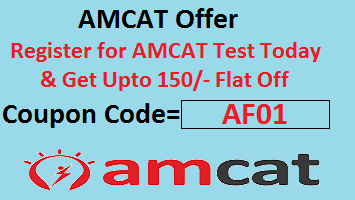 amcat question paper for mechanical engineering will surely help all the candidates of amcat exam who are from mechanical branch. Our sincere advise to all the mechanical candidates to look complete syllabus in detail before appearing to amcat. This article has been updated to reflect latest syllabus of AMCAT Mechanical syllabus. Mechanical students needs to appear for optional and compulsory module both. If you are targeting a core mechanical company then you must pursue the syllabus and pattern of AMCAT Mechanical Module 2019. it is chronic nature of companies to rely on core subject for core work hence all the biggies in mechanical field will be picking those candidates who are having strong hold on below topics. Mechanical Module – In this module, a student is tested for his understanding of mechanical engineering concepts – theoretical and practical knowledge. Questions from different areas in this subject are asked so as to assess a student on his complete knowledge of the subject. Now lets look at the optional module of mechanical branch syllabus. The mechanical module, based on the curriculum taught in the 4 years would help discriminate candidates who have only theoretical knowledge vis-a-vis someone who understands the theory as well as its application. Mechanical engineers are involved in the research & design, manufacturing and maintenance of automobiles, cooling systems, buildings, bridges and industrial equipment and so it is important that they remain aware of the latest trends across different fields. Get practical experience if possible. Mechanical Engineering degrees are notoriously theoretical, which is good but gain some practical exposure as well. Mechanical engineer’s job is to design things so that they can be efficiently, inexpensively fabricated. Develop extensive reading and writing skills. Documentation and technical writing skills are a must in many mechanical engineering jobs. Hope this guide on AMCAT Syllabus for Mechanical 2019 and Test Pattern for Mechanical Engineering is helpful to you. you can prepare as per the tips given.